There are millions of connected devices such as smart thermostats, door locks, cameras, appliances, you name it, at homes across the world talking to each other, making decisions on their own and their owners. That is not the future, this is happening now. 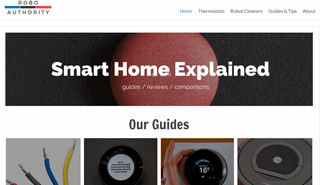 Robo Authority is the source dedicated to helping you to navigate the exciting world of smart homes and home automation technology. Our mission is to help you to make smarter buying choices for your home technology.